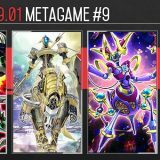 As mentioned in OCG 2018.04 Metagame Report #6, we see Sky Striker moving away from using Jet Synchron for the old Summon Sorceress and Hi-Speedroid Chanbara OTK combo, to using Glow-Up Bulb for the new Borrelsword Dragon OTK combo. 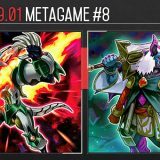 This article will showcase the new Borrelsword OTK combo that was made possible with the release of Sky Striker Ace – Hayate and Borrelsword Dragon in Cybernetic Horizon. 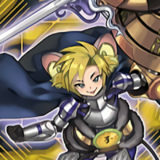 This combo requires the opponent to have a monster with ATK 1500 or higher so that Sky Striker Ace – Hayate can attack into it and destroy itself in order to trigger Sky Striker Ace – Raye. 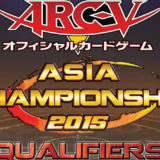 Activate Sky Striker Mecha – Hornet Drones, Special Summon “Sky Striker Ace Token”. 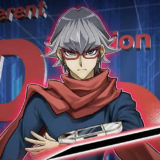 Using “Sky Striker Ace Token”, Link Summon Sky Striker Ace – Kagari. When Sky Striker Ace – Kagari is successfully summoned, trigger its effect to add Sky Striker Mecha – Hornet Drones from Graveyard to Hand. 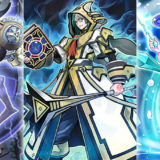 Using Sky Striker Ace – Kagari, Link Summon Sky Striker Ace – Hayate in the Left Extra Monster Zone. Using “Sky Striker Ace Token”, Link Summon Linkuriboh in the 1st Main Monster Zone. Normal Summon Ash Blossom & Joyous Spring. 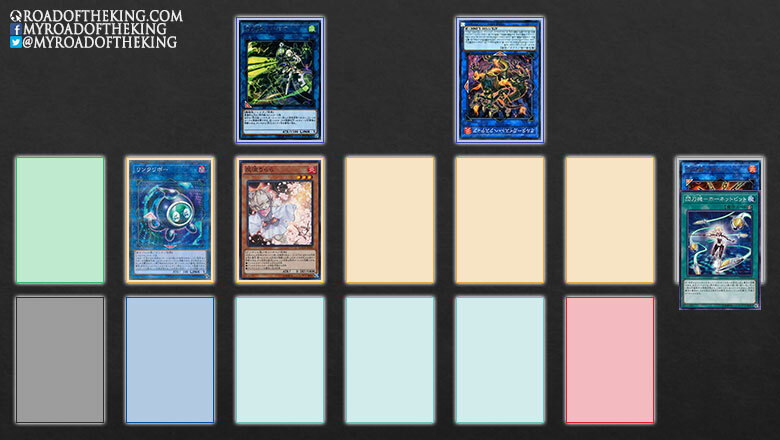 Using Ash Blossom & Joyous Spring + Linkuriboh, Link Summon Crystron Needlefiber in the 1st Main Monster Zone. When Crystron Needlefiber is successfully summoned, trigger its effect and Special Summon Glow-Up Bulb. 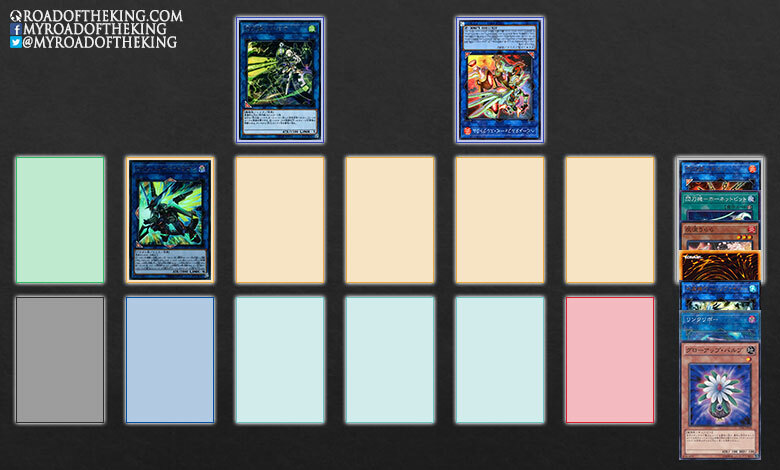 Activate the graveyard effect of Linkuriboh, tribute Glow-Up Bulb, and Special Summon Linkuriboh from the Graveyard. Activate the graveyard effect of Glow-Up Bulb, send the top card of the Deck to Graveyard, and Special Summon itself from the Graveyard. Using Crystron Needlefiber + Linkuriboh + Glow-Up Bulb, Link Summon Borrelsword Dragon in the 1st Main Monster Zone. During the Battle Phase, attack the opponent’s Altergeist Hexstia with Sky Striker Ace – Hayate. After Damage Calculation, trigger the effect of Sky Striker Ace – Hayate to send Sky Striker Ace – Raye from Deck to Graveyard. 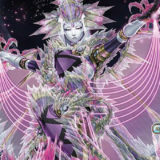 When Sky Striker Ace – Hayate and Altergeist Hexstia are destroyed by battle and sent to the graveyard, trigger the effect of Sky Striker Ace – Raye to Special Summon itself from the Graveyard. Attack directly with Sky Striker Ace – Raye for 1500 damage. Attack directly with Borrelsword Dragon for 3000 damage. 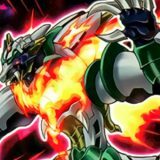 Activate the effect of Borrelsword Dragon, change Sky Striker Ace – Raye to from Attack Position to Defense Position, and gain a second attack. Attack directly again with Borrelsword Dragon for 3000 damage. Activate the effect of Sky Striker Ace – Raye, tribute itself, and Special Summon Sky Striker Ace – Shizuku in the Left Extra Monster Zone. Attack directly again with Sky Striker Ace – Shizuku for 1500 damage. 1500 + 3000 + 3000 + 1500 = 9000. This OTK combo deals 9000 damage if the opponent has a monster with ATK 1500. 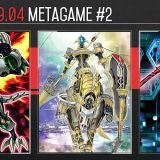 During the Battle Phase, attack the opponent’s Heavymetalfoes Electrumite with Sky Striker Ace – Hayate. When Sky Striker Ace – Hayate is destroyed by battle and sent to the graveyard, trigger the effect of Sky Striker Ace – Raye to Special Summon itself from the Graveyard. 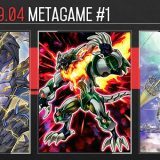 Attack the opponent’s Heavymetalfoes Electrumite with Borrelsword Dragon. 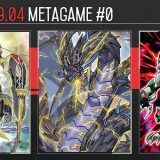 Trigger the effect of Borrelsword Dragon, gain ATK equal to half of Heavymetalfoes Electrumite‘s ATK and half Heavymetalfoes Electrumite‘s ATK, dealing (3000 + (1800 / 2)) – (1800 / 2) = 3000 damage. Attack directly again with Borrelsword Dragon for 3000 + (1800 / 2) = 3900 damage. Attack directly with Sky Striker Ace – Shizuku for 1500 damage. 3000 + 1500 + 3900 + 1500 = 9900. This OTK combo deals over 9000 damage if the opponent has a monster with more than ATK 1500. Step 6 is the crucial move for this combo. Sky Striker Ace – Hayate has only 1 Link Arrow pointing to a Main Monster Zone which would be later occupied by Crystron Needlefiber. So this meant that Glow-Up Bulb would not be able to be used to Link Summon Linkuriboh. 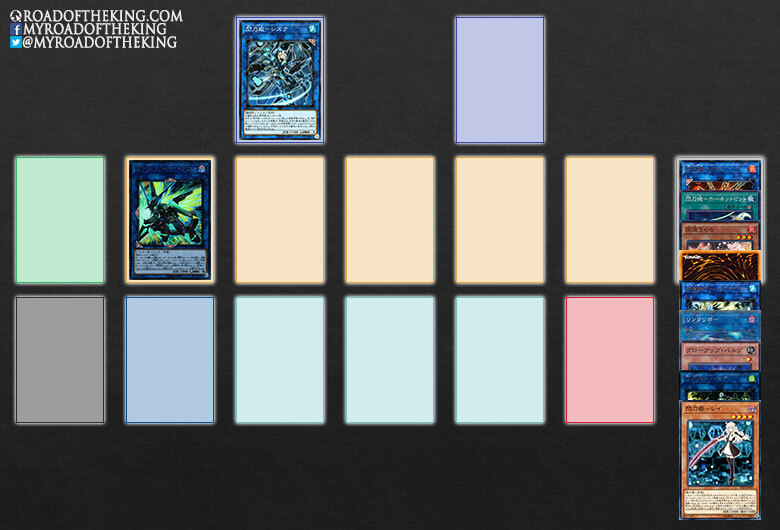 To bypass this, Link Summon Linkuriboh in Step 6, and then use it for a Link Summon to get Linkuriboh in the graveyard. 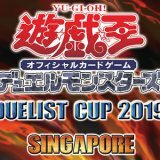 This way, Glow-Up Bulb can be tributed for Linkuriboh‘s graveyard effect instead, and thus allowing Linkuriboh to be Special Summoned into the Main Monster Zone without requiring any Link Arrows. The Borrelsword combo is now the preferred OTK for Sky Striker due to Glow-Up Bulb being a better Tuner to play than Jet Synchron, especially with the cheaper cost for its effect. 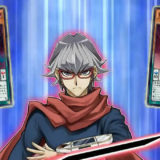 Even if the opponent somehow managed to survive, having a board of Borrelsword Dragon and Sky Striker Ace – Shizuku is still quite threatening. Hey guys thanks for the information I love the way you manage the page. I think there is a mistake in point 8. Because it says you link away the Hayate. That is indeed a mistake. 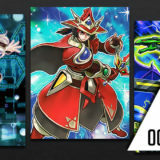 It should be using Linkuriboh as shown in the image.